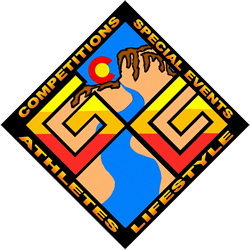 The Golden Games outdoor lifestyles celebration and competitions take place in and around Golden, Colorado in May. Mission: The Golden Games will continuously seek to bring together a wide variety of communities to celebrate outdoor adventure sports through competition, music, entertainment, and lifestyle in the culturally rich setting of Golden, CO.
Competitions and Events may include but won’t be limited to: Kayaking, Stand Up Paddle Boarding, Fly Fishing, Mountain biking, Rock climbing, Paragliding, Motocross and Slack Lining. Have a great time participating in, or being a spectator at The Golden Games, or take part in additional events and activities nearby including the Downtown Golden Pub Crawl, Gold Panning and How to Clinics, Product and Service demos, and more. 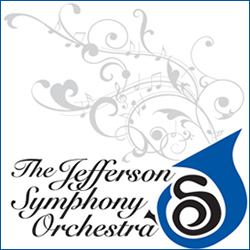 The Jefferson Symphony Orchestra performs a concert at the Colorado School of Mines Green Center in Golden Colorado in May. The Jefferson Symphony Orchestra and the Evergreen Chorale combine talents to bring to life the magnificent Brahms Ein deutsches Requiem (a German Requiem). As one of Brahms most notable works, this beautiful composition seeks to comfort the living and those who must deal with and accept death. Our guest soloists will be Kara Guggenmos, lyric soprano, and Steven Taylor, bass baritone. Also on the program is Debussy’s Nocturnes inspired by three impressionist paintings by Whistler. Discover more of Golden at Golden Colorado Guide. The Salvation Army Adult Rehabilitation Center Celebrity Golf Tournament event takes place at Fossil Trace Golf Club in Golden Colorado in May. The Hot Rods and Hot Dogs event celebration takes place in Golden Colorado in May. The First Ascent Ride event takes place just outside of Golden Colorado in May. The Global Dub Festival takes place at Red Rocks Amphitheatre in Lakewood Colorado in May. National Train Day is celebrated in Golden Colorado in May. The Eat Out for Education event takes place in Golden Colorado in May. The Golden Super Cruise is a very popular monthly car show and cruise that takes place in Golden Colorado May – Oct. The Vintage Car Show Collection at the Golden Super Cruise takes place in Golden Colorado in May.